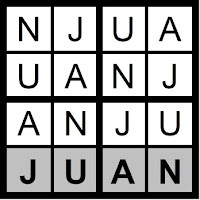 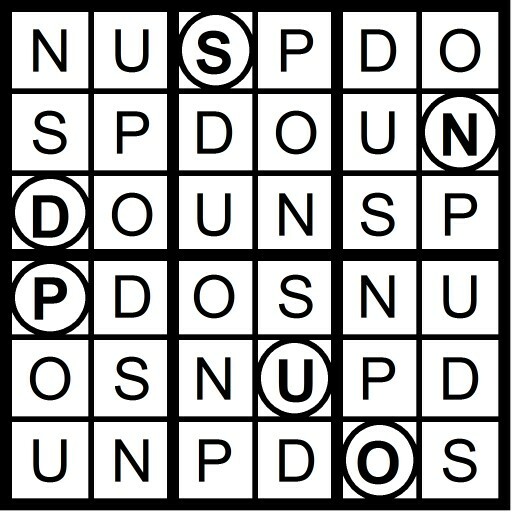 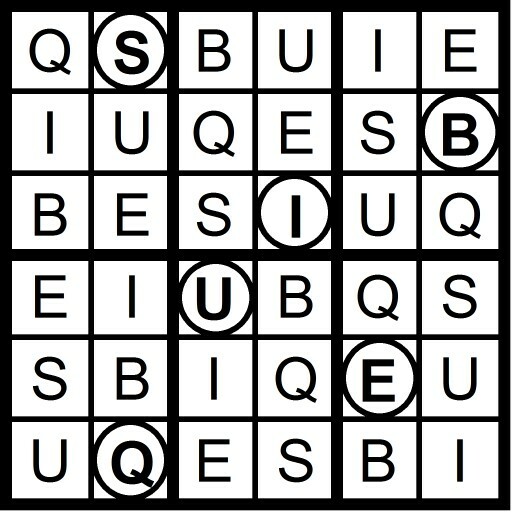 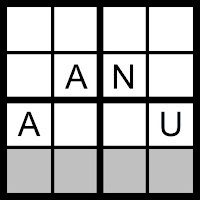 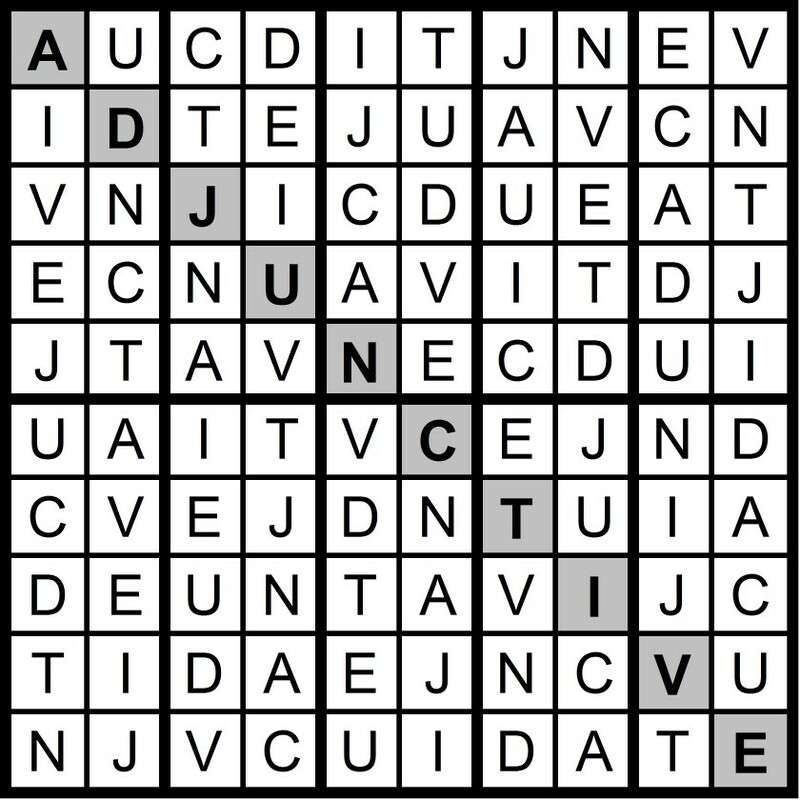 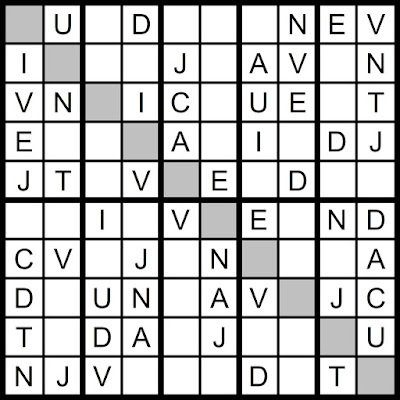 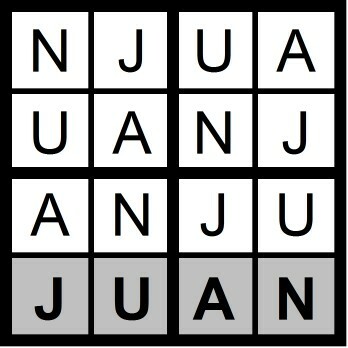 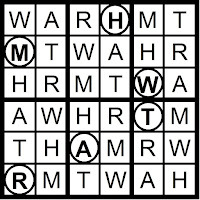 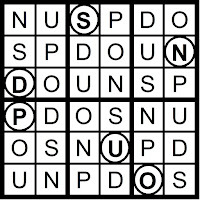 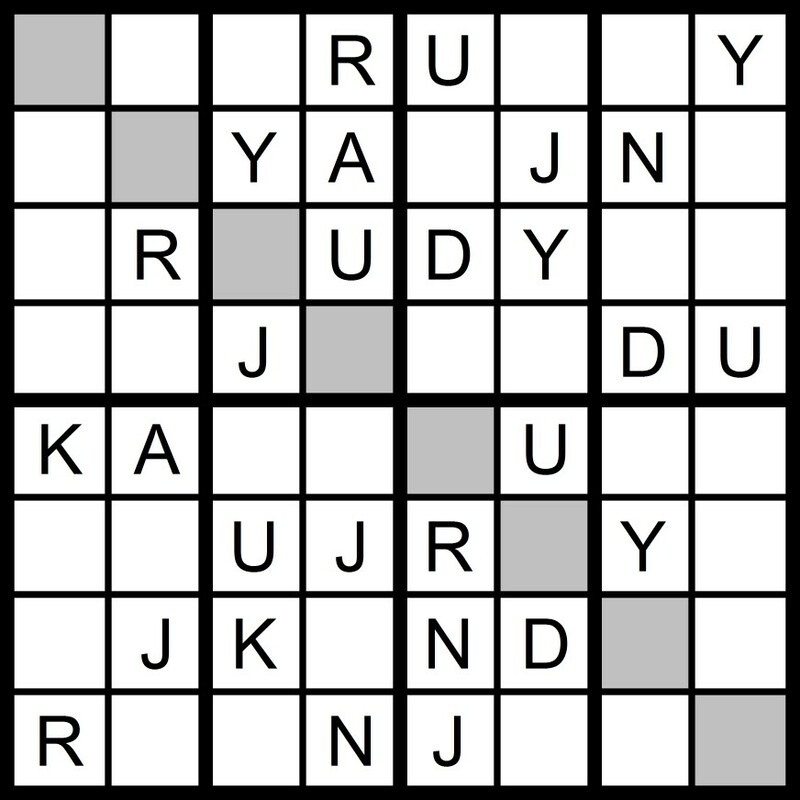 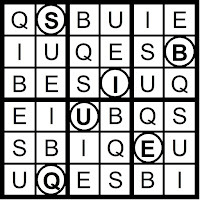 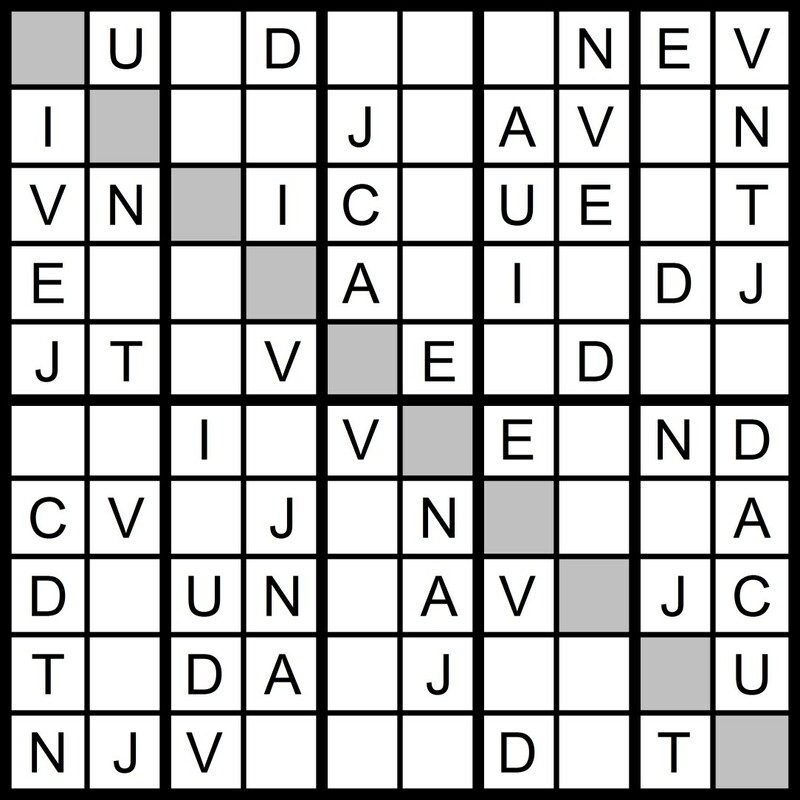 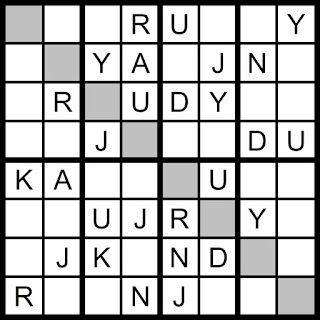 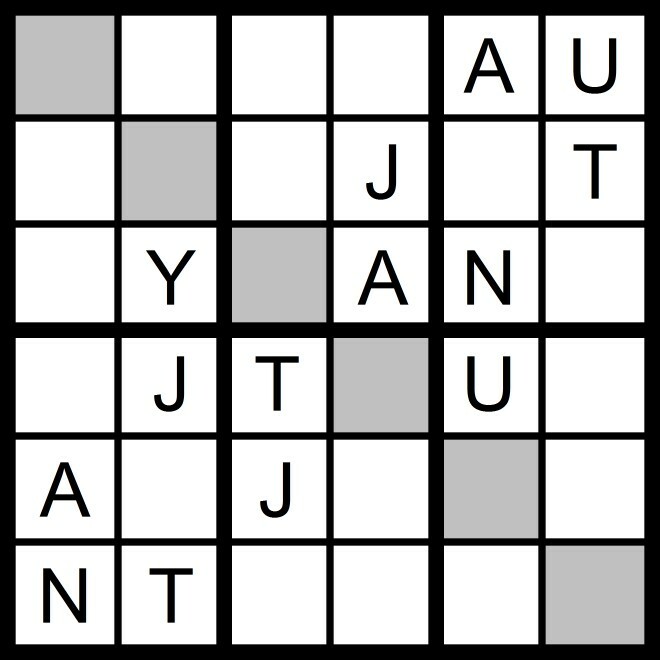 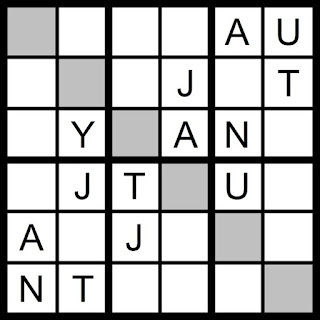 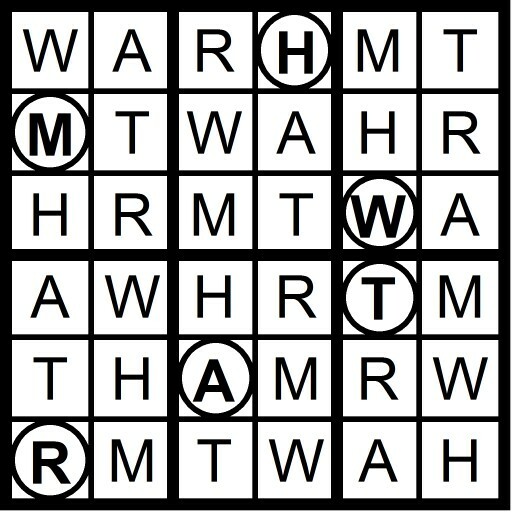 Yesterday's 4x4 Hidden Word Sudoku puzzle was based on the letters JAN + U (JUAN) and the 6x6 Hidden Word Sudoku puzzle was based on the letters JAN + TUY (JAUNTY). 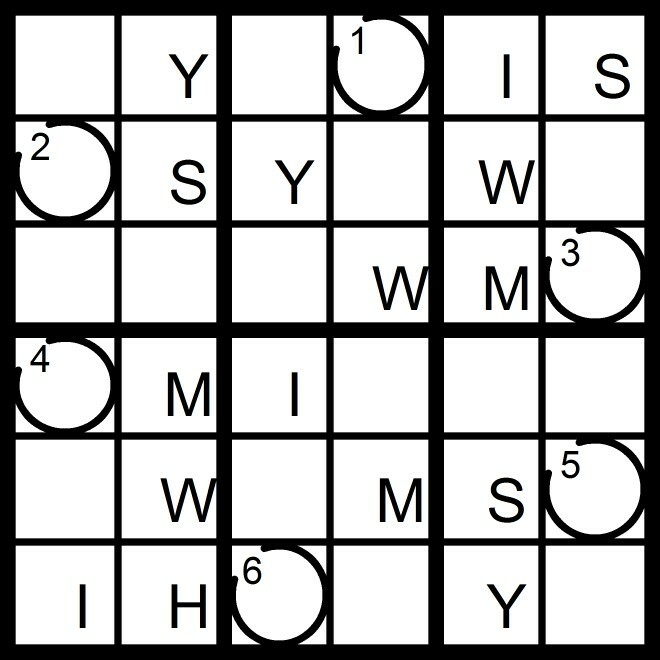 A new set of puzzles in a few hours. 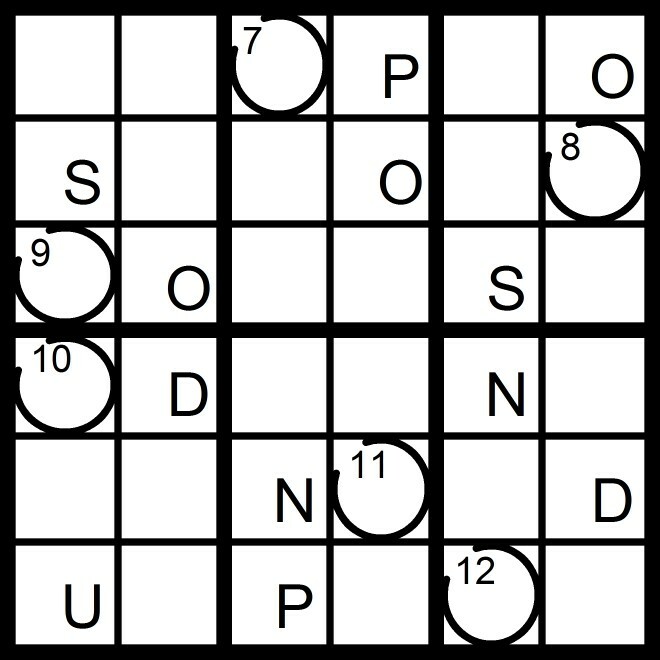 Yesterday’s Qudoku puzzle set spelled out a never die pun. 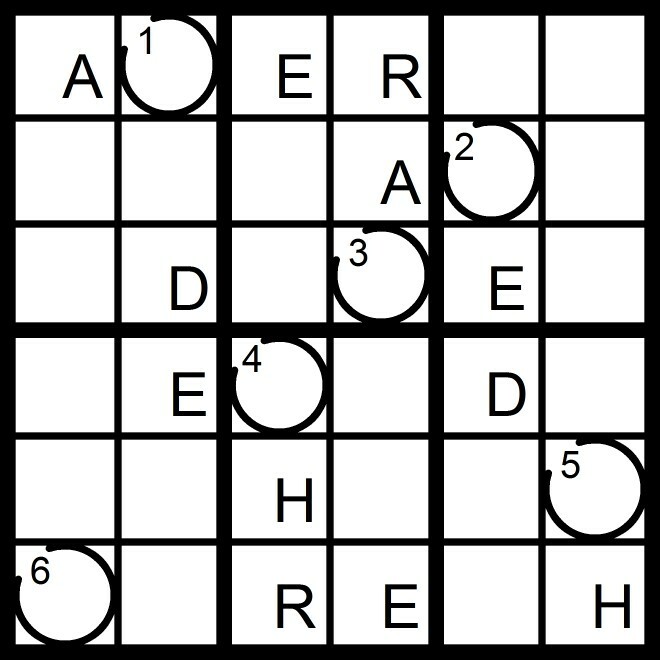 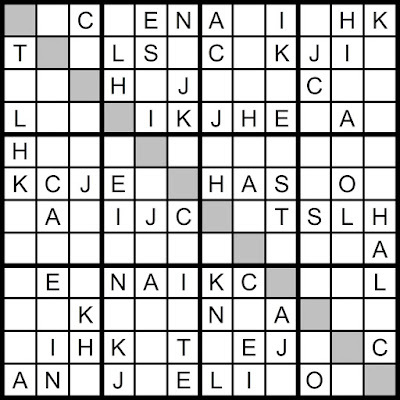 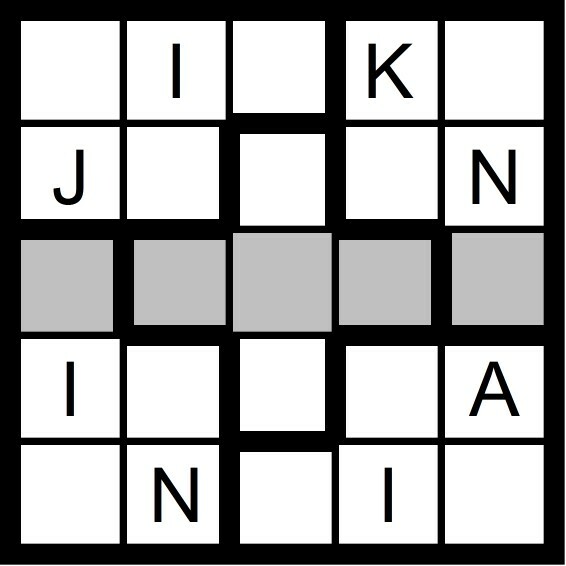 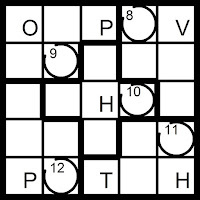 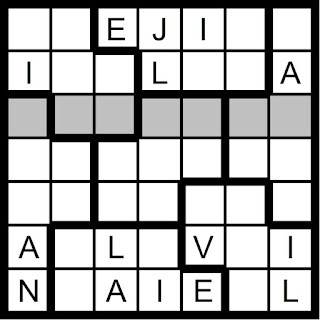 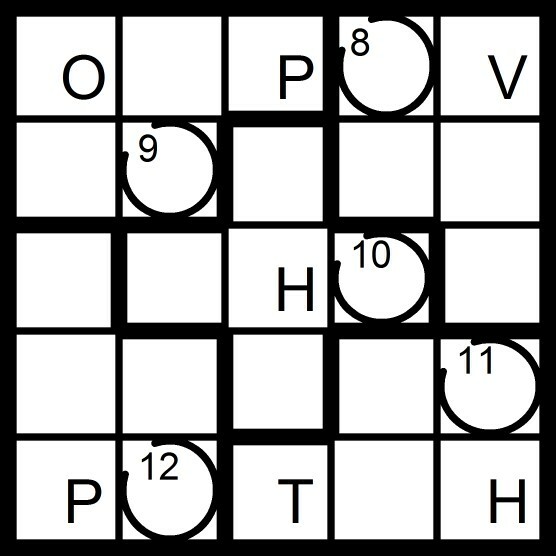 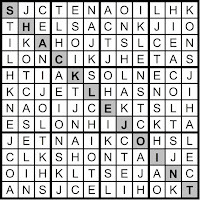 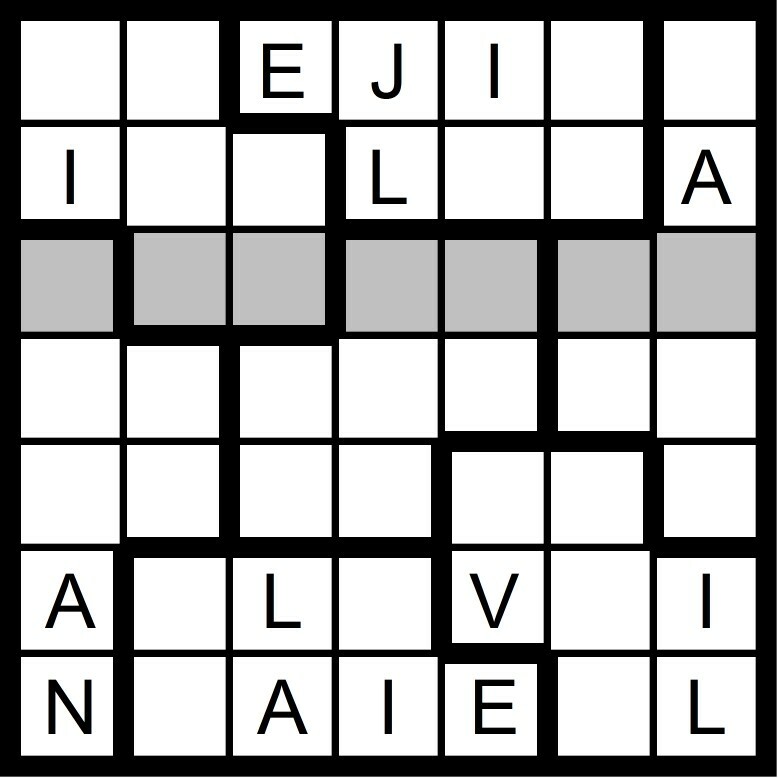 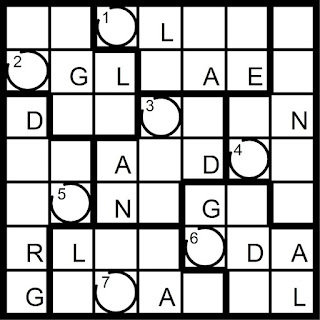 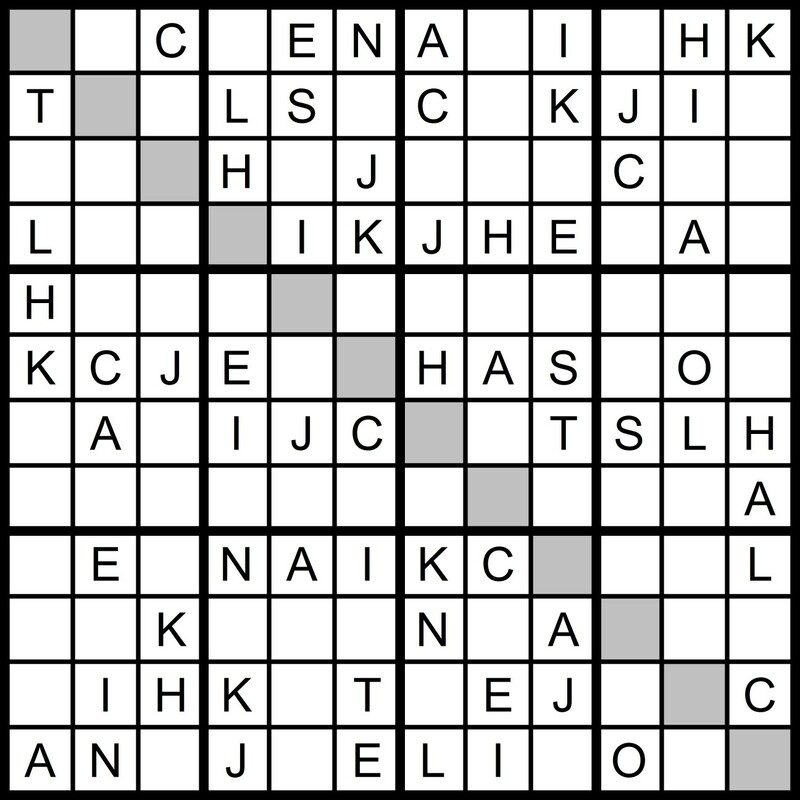 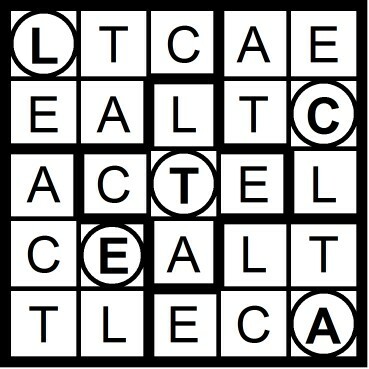 Yesterday’s Sunday Challenge 12x12 Hidden Word Sudoku Puzzle was based on the letters JAN + SKETCH OIL (SHACKLEJOINT). Old funeral directors never die, they just go underground. 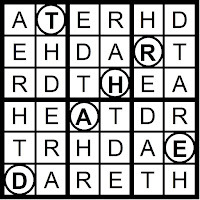 Let's walk," said Tom stridently. 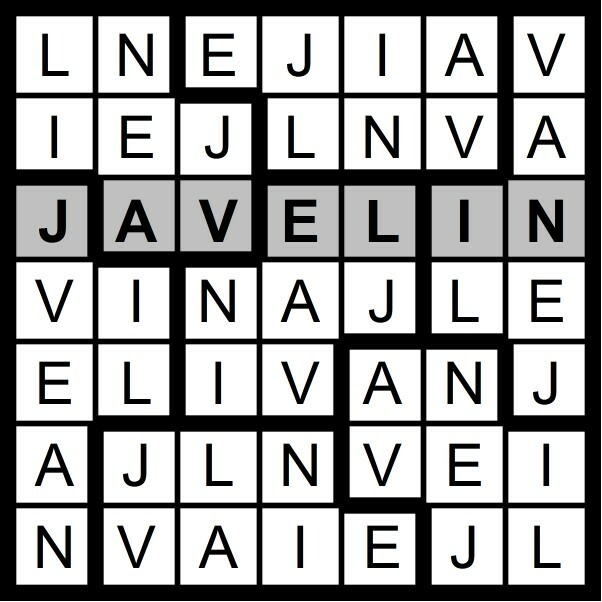 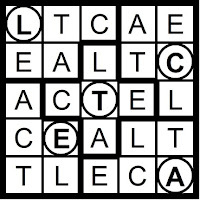 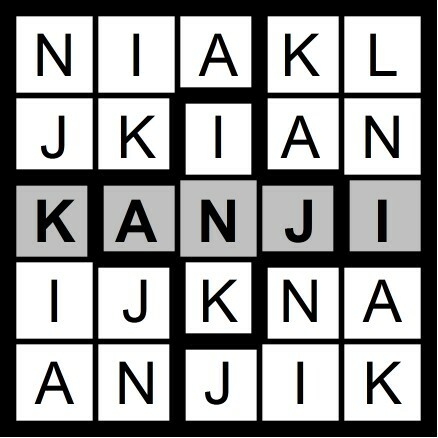 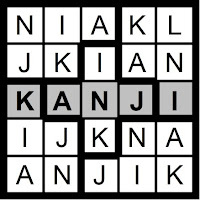 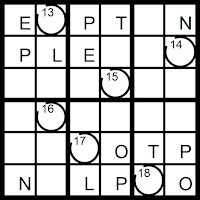 Yesterday's 5x5 Hidden Word Sudoku puzzle was based on the letters JAN + IK (KANJI) and the 7x7 Hidden Word Sudoku puzzle was based on the letters JAN + LIVE (JAVELIN). 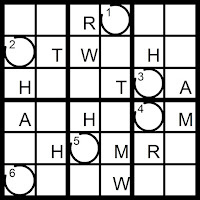 The Saturday Swifty in a bit. 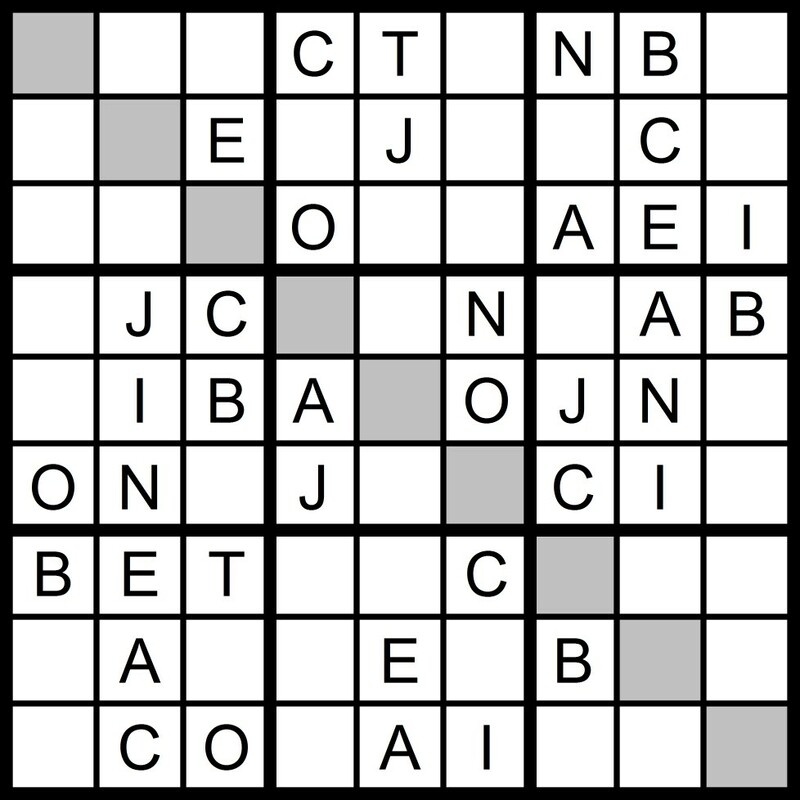 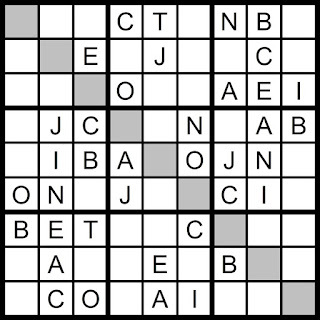 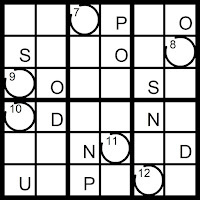 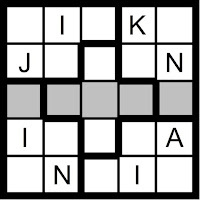 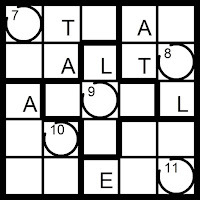 Yesterday's 10x10 Hidden Word Sudoku puzzle was based on the letters JAN + I CUED TV (ADJUNCTIVE). 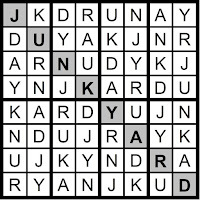 Yesterday's 8x8 Hidden Word Sudoku puzzle was based on the letters JAN + Y KURD (JUNKYARD). 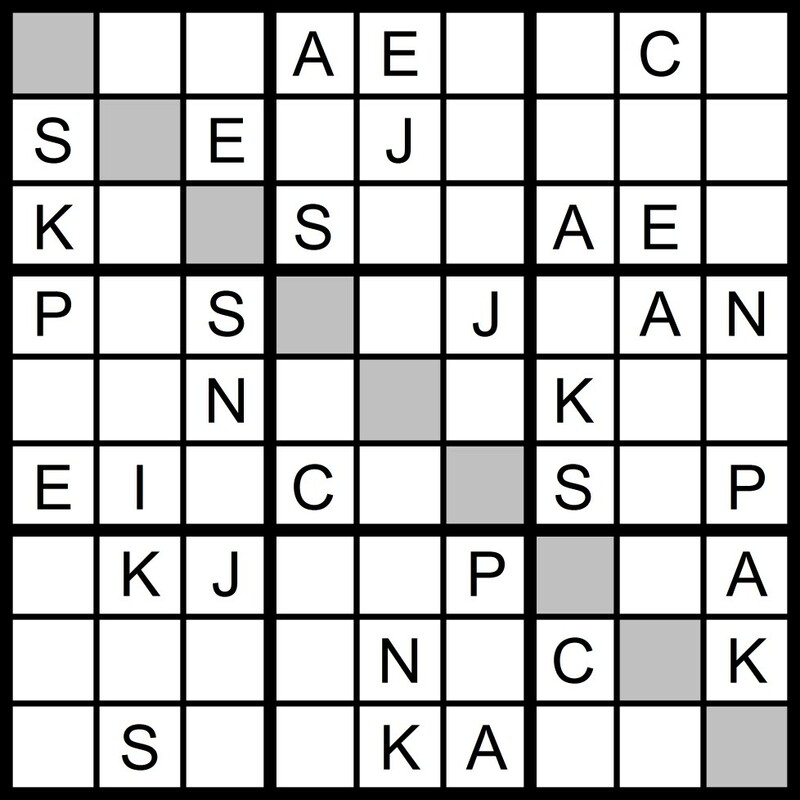 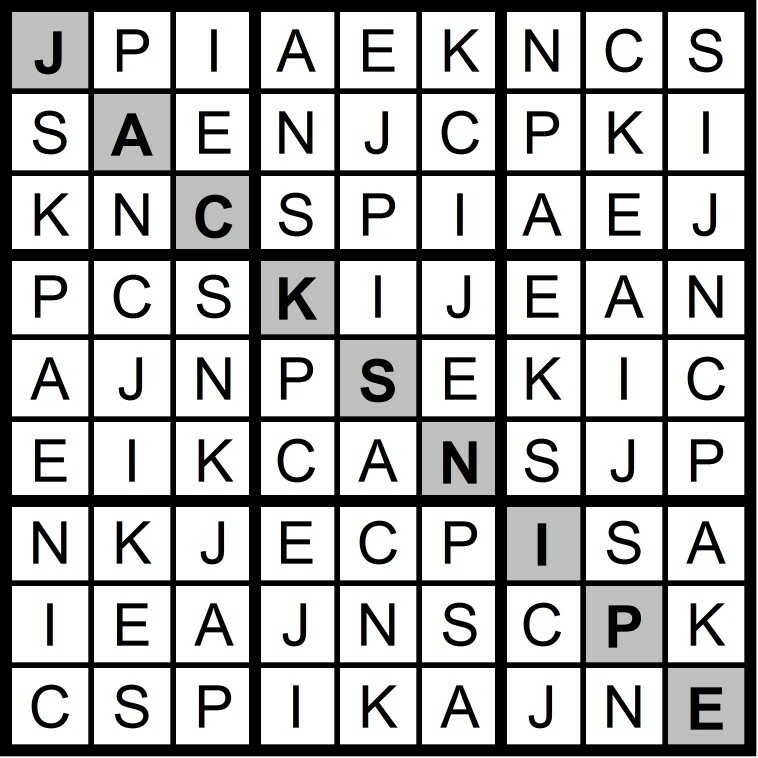 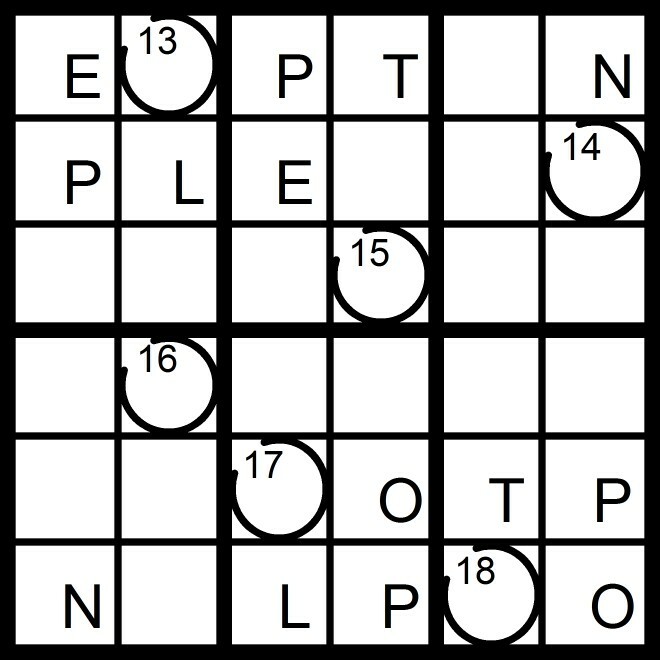 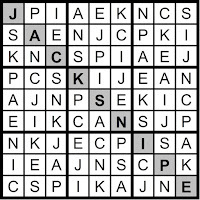 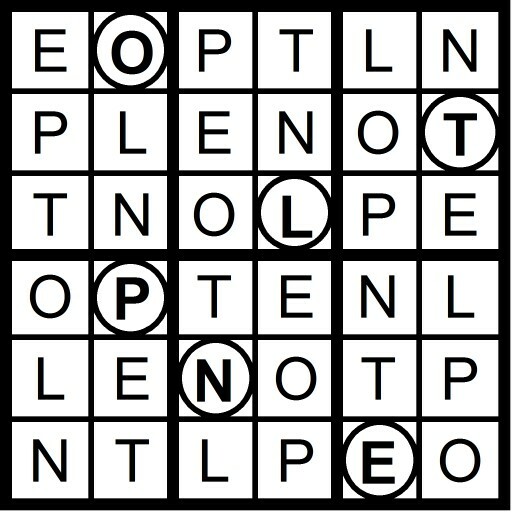 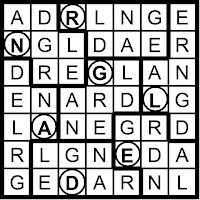 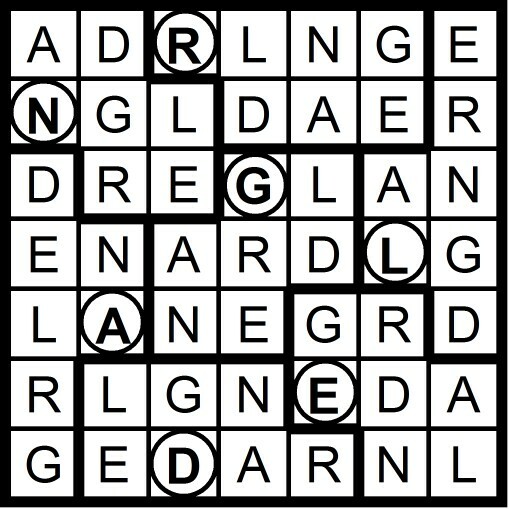 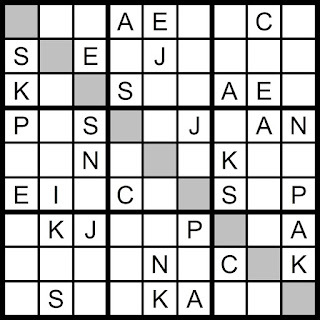 Yesterday's 9x9 Hidden Word Sudoku puzzle was based on the letters JAN + I SPECK (JACKSNIPE). 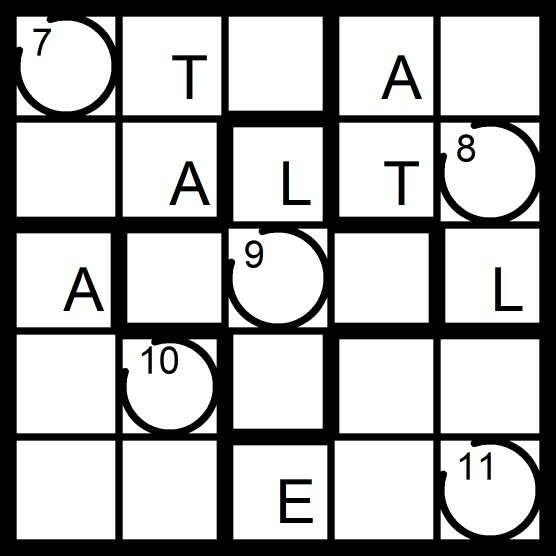 A new puzzle in a few hours. 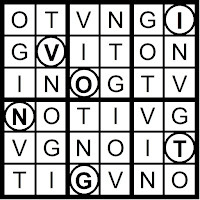 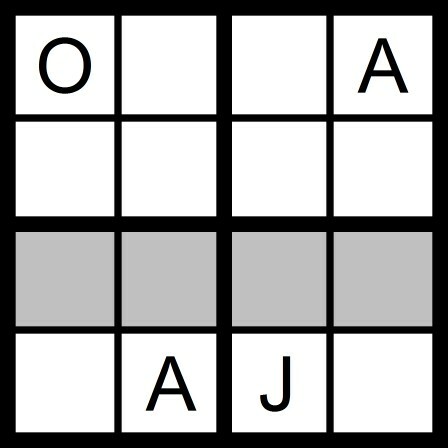 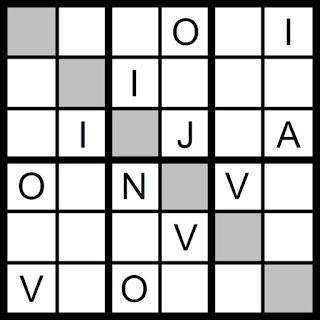 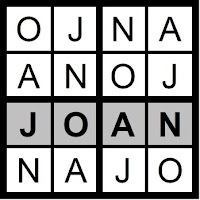 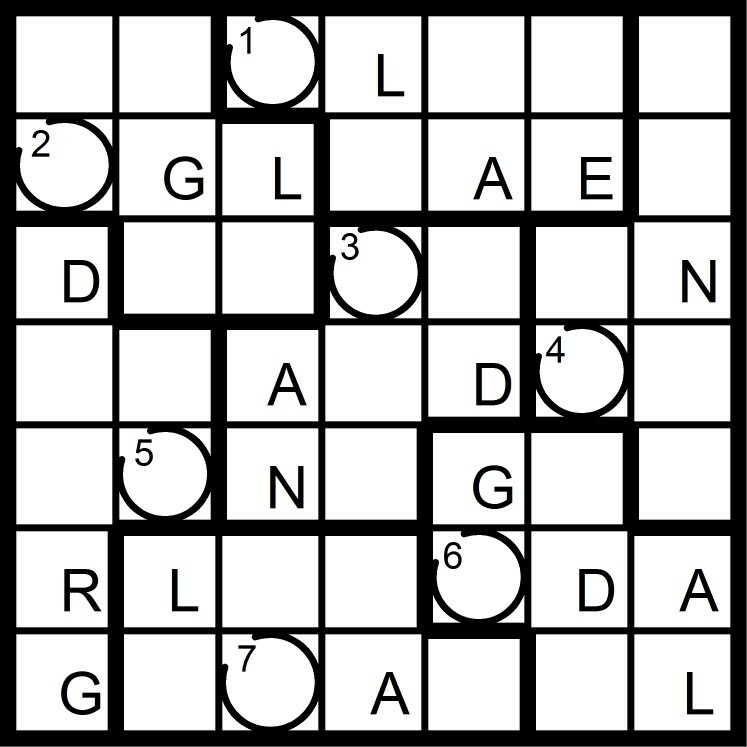 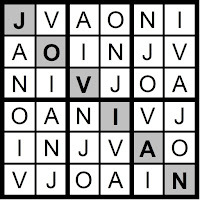 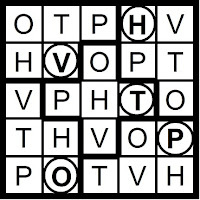 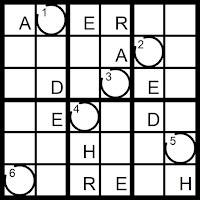 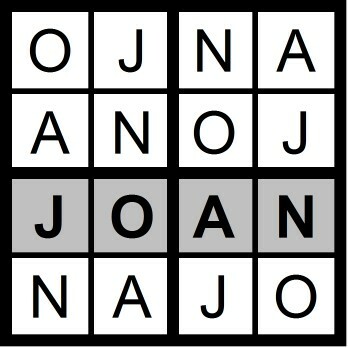 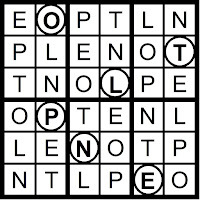 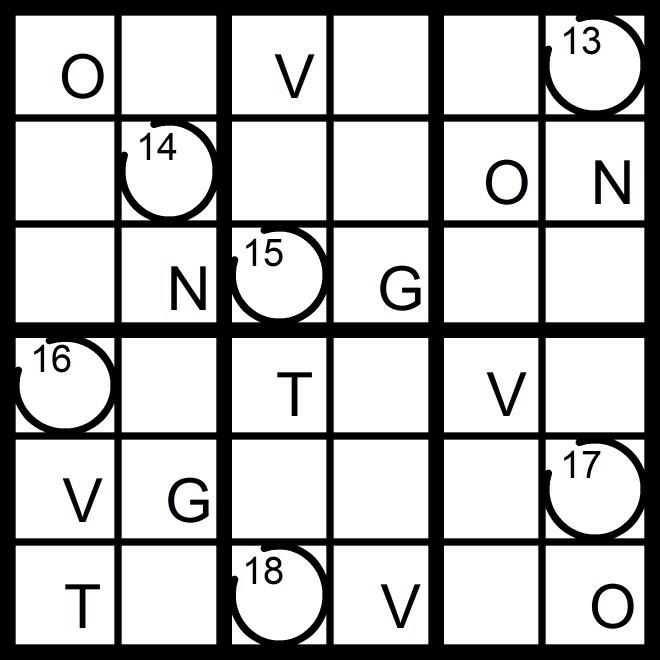 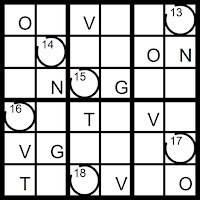 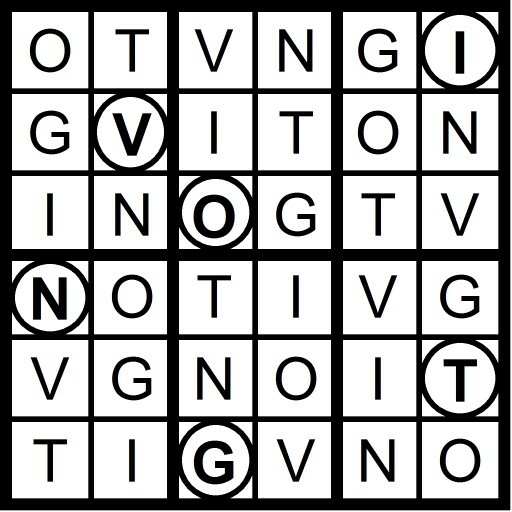 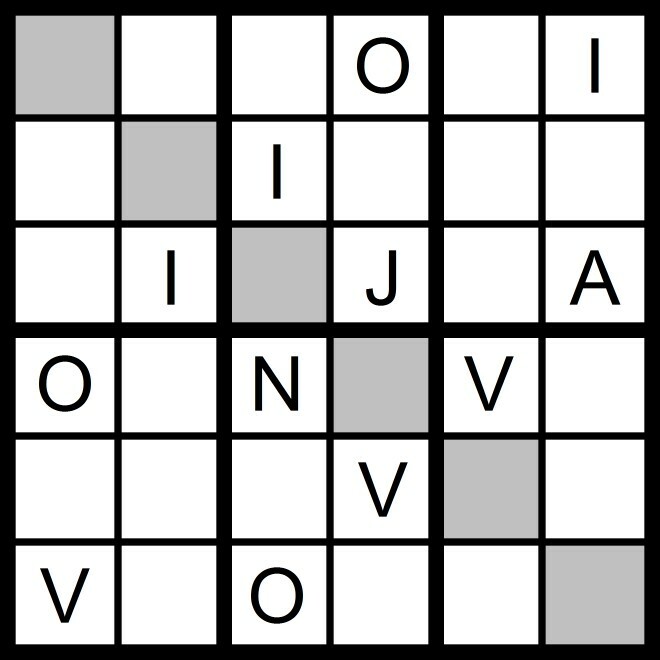 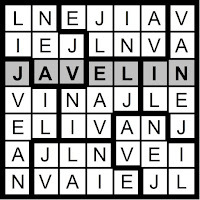 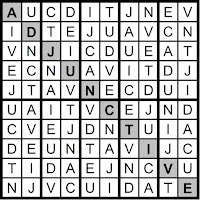 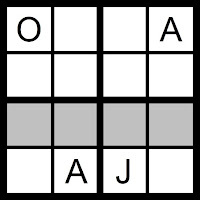 Yesterday's 4x4 Hidden Word Sudoku puzzle was based on the letters JAN + O (JOAN) and the 6x6 Hidden Word Sudoku puzzle was based on the letters JAN + O IV (JOVIAN). 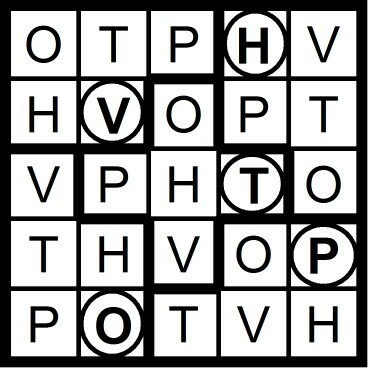 More puzzles in a bit. 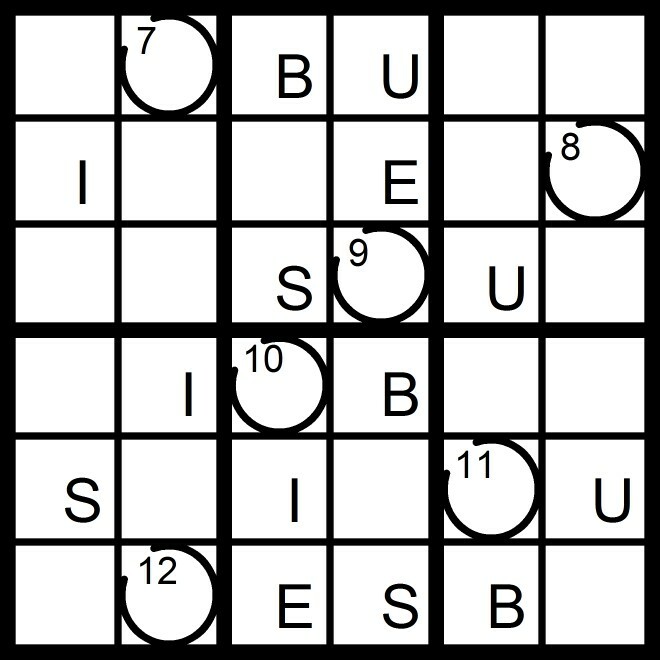 Please get in the elevator," said Tom uppishly. 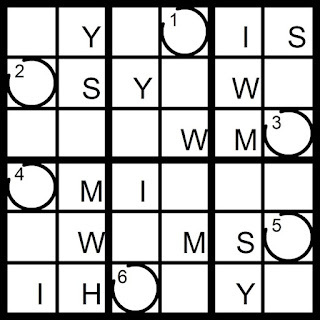 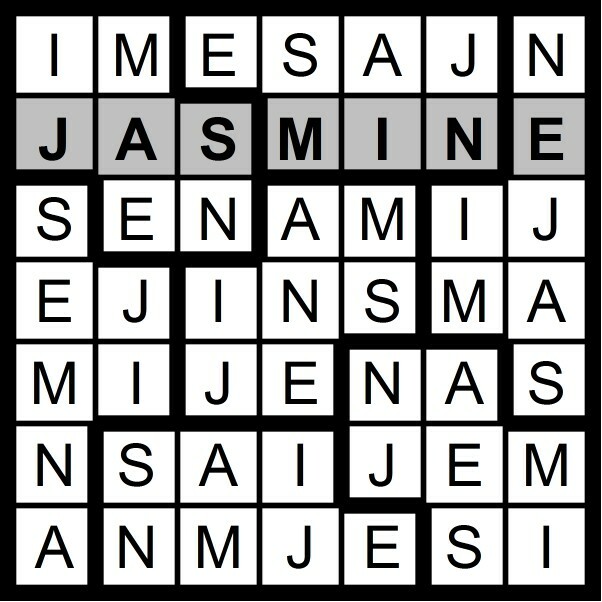 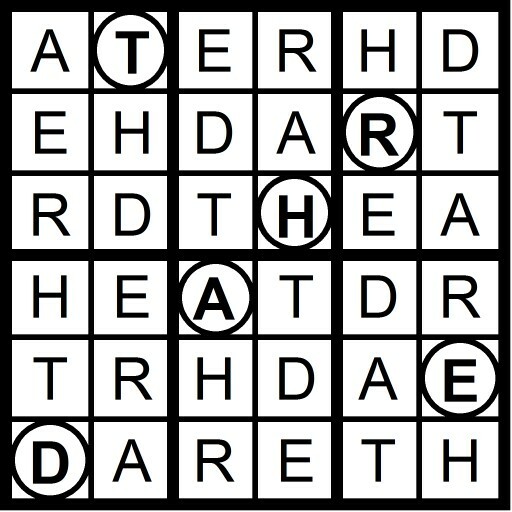 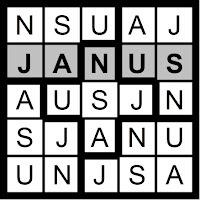 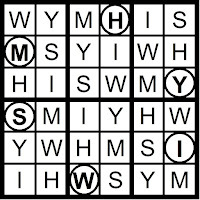 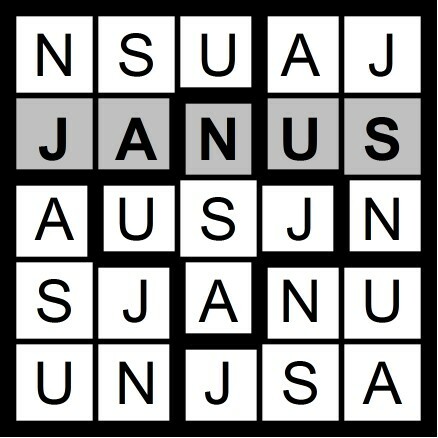 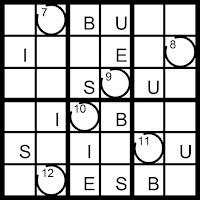 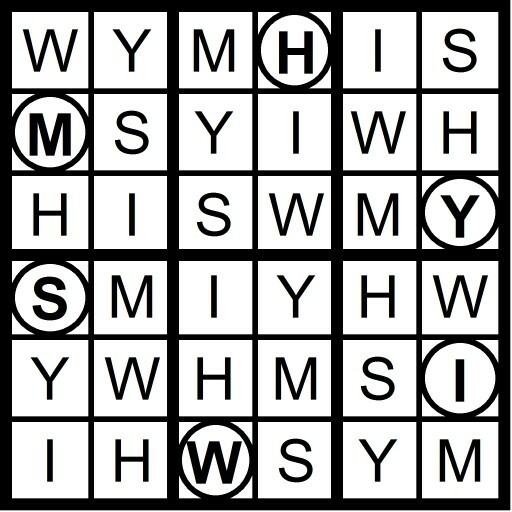 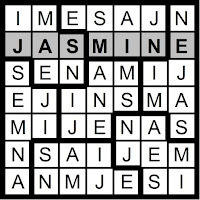 Yesterday's 5x5 Hidden Word Sudoku puzzle was based on the letters JAN + SU (JANUS) and the 7x7 Hidden Word Sudoku puzzle was based on the letters JAN + MISE (JASMINE). 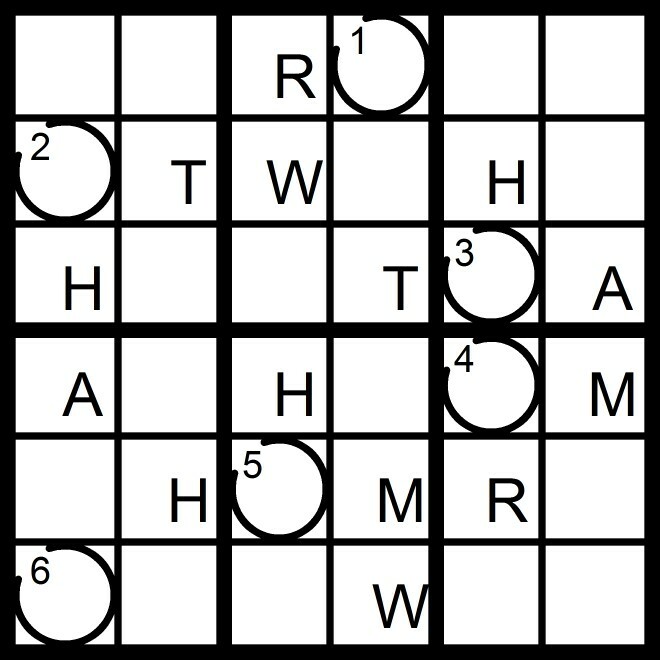 The Saturday Swifty in a few hours.